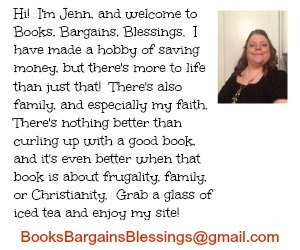 Books, Bargains, Blessings: July is Cell Phone Courtesy Month! July is Cell Phone Courtesy Month! Did you know that July is National Cellphone Courtesy month? I honestly think that everyday should be a cellphone courtesy day. Phones add so much to our lives when used correctly. I can share photos with family and friends who live far away. I was away recently and I was able to connect with a roommate from college so we could meet up for a few minutes at an Interstate exit. This would not have been possible without cell phones and U.S. Cellular's reliable 4G reliability. But with phones also comes responsibility. A Pew Research survey found 67 percent of cellphone owners check for messages even when they don't hear their phone indicate there is a message received. That's a lot of time spent checking, and obviously there are better times than others to check your phone and that's what this post is about. U.S. Cellular conducted a survey between November 15 and December 2, 2013 of 500 people in partnership with Maritz Research. They found 37% of people said that others get upset with them for using a cellphone because of the time or place they are using it. Yet, 63% of people said they get upset with others. So either it's the same people causing all the problems for everyone, or there are people who don't realize their cell phone habits are annoying to others. Interestingly, the same proportion that believe no one gets upset with them is the same percentage that say they get upset with others! As is to be expected, those over the age of 54 have a stronger etiquette believe than those younger. Among those ages 55-64, 82% think it's rude to check your cellphone with talking to someone else, and 80% find it rude to check it while dining. Contrast that to only 63% of those ages 18-34 find it rude to check your phone while in a conversation with someone, and only 57% think it rude to check it while dining. Also found in this study, women tend to prefer texting more than men. Women are also more likely to use texting as away to avoid a conversation. So what are some tips for improving cellphone courtesy? Set ground rules. If you are meeting with others for dinner or going out with friends, discuss the expectations for phone use. When my mother was very sick, I informed people that I might need to answer my phone at any point. Even so, I did my best to be considerate. If I was with a group of people I would often step aside to answer the phone and would keep it silenced, but would be able to feel it on vibrate. I tried not to have it out on a table because that can also be distracting to others. Did you know that if you forget to turn off the ringer on a Samsung Galaxy S5 that just by flipping it over, it will stop ringing! How convenient is that? I have the Apple iPhone5S and to make that stop ringing, I just have to press the button on the top of the phone. Another great tip is to understand those around you. If you are out to dinner with a younger friend, taking a photo of your food may be totally acceptable, but that might not be okay with your great-grandmother. Yet, the opposite could be true. If you have a high-tech grandparent, she might not be bothered by your cellphone use while someone else could be. Knowing how others feel about electronics can go a long way towards generating an environment that makes everyone feel comfortable. I had to check the time recently when talking to someone, and I made a point of saying why I was pulling my cell phone out of my pocket -- that I had an appointment and didn't have a watch. That was all I did on my device. Yet at dinner with a different person, I checked in on social media and even used a special that I received for checking in. Understanding the other person's attitude can help immensely in making for a more pleasant experience for both. Adjusting the brightness of your screen can also allow you to use your phone or tablet without disturbing others. I know of one site that allows for "night browsing" but few sites give that option -- on most sites, you should adjust the brightness of your device. This way to you can use your cellphone or tablet without disturbing those around you. Single Tasking is a huge benefit to those around you as well. Did you know that according to the survey I metioned above that more than 1 in 3 people (35%) have had someone walk into them because the person who bumped into them was paying more attention to their phone than they were where they were going. I know this week someone nearly walked in front of us while using a phone -- the scary part was he was crossing the street while looking at his phone. If you stake single focused, there chance of a problem is a lot less likely. In fact, even when I am on the phone, I like to stay single focused. Yes, I could clean house or fold laundry, but personally I believe the person on the other end is worthy of my undivided attention. 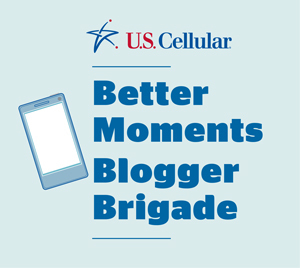 If you are looking for ways to help your child learn good cellphone etiquette, don't forget to download the U.S. Cellular Parent Child Cellphone Agreement . It is free, and it will help facilitate discussion with your child regarding cell phone usage. Cell phones are a great way to help make life better and it's a good thing to use them so they enhance life and not distract from it! It's simple to do, and I hope you will join me in my quest to be ever aware of respecting others while also staying connected!